Nettle root (Urtica dioica. L) is a herbal supplement also known as Alingatong roots taken from the roots of the nettle plant. The root of the stinging nettle plant has long been used for alternative herbal medicinal purposes. 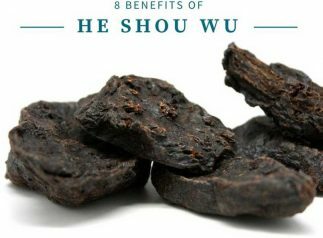 Historically, it was used as a diuretic to eliminate excess water from the body, and for treatment of joint pains. The Common Nettle Plant is home to the Black Sea region of Turkey, and by Bulgaria, Romania, Ukraine, Russia and Georgia. In countries like Turkey its a common household plant kept for herbal remedies and vegetable dishes. At present, the Common Nettle plant’s root or extract powder is used for a wide variety of ailments. It is, however, most commonly taken to relieve enlarged prostate gland symptoms. 3 Is Nettle Root Good For Hair Growth? The root is more widely used for herbal medicine than the plant’s leaves or stem. For one, it is the most potent part of the nettle. It is commercially available in the form of tea, tablet, capsule, tincture, or extract powder. The root of alingatong can also be applied topically in the form of cream. For food preparations, like when cooking soups, the alingatong leaves are used as ingredients and not the root. I only recommend Nettle Root Extract from Lost Empire Herbs. Click the link to see why their sourcing and extraction process are second to none, plus get 15% off your first order (limited time)! The herbal medicine is most commonly used for the treatment of benign prostatic hyperplasia (BPH), prostatis or enlarged prostate as it is more popularly known. Nettle root extract (sometimes called Bazoton-uno) can provide relief for all the symptoms of the disorder, in particular when taken in conjunction with other herbs like saw palmetto. Based on a study conducted by Univ. of Maryland Medical Center, the root can also help lower the urge to frequently urinate, and decrease the volume of urine as well as post-urination dripping. However, unlike other medicines used for the condition, it does not help reduce the prostate’s size, but only offers symptom relief. In 2013, Iran’s Red Crescent Medical Journal released a publication that showed the root’s role in significantly treating enlarged prostate symptoms in adult men. There is emerging interest amongst men interesting in optimizing hormonal health, increasing testosterone and limiting DHT. The connection between nettle root and testosterone has long been known and studies and that’s why it’s often used by men active in testosterone replacement therapy who want an all-natural Natural Aromatase Inhibitor. The root of the alingatong nettle plant is also said to be effective for urinary tract infection, and for muscle and joint pains. The nettle leaf, on the other hand can be used for allergies, hay fever, and osteoarthritis. According to a 2013 Phytomedicine issue, the stinging plant, as an oil based extract solution, can help lessen inflammation. The herb is beneficial because of the phenolic compounds in the root, stalk and leaves. Is Nettle Root Good For Hair Growth? There are claims ranging from “nettle root may prevent hair loss” to “nettle root will make a bald man grow hair.” While the herb may contain chemical constituents that are involved in hair growth, there is not one single published study at the National Institute of Health to show any evidence that it impedes hair loss or generates hair growth. If it were really that simple, there would be very few bald men. In general, the nettle plant is safe for consumption. However, minor side effects may be experienced in some cases. These include sweating, upset stomach, water retention, and diarrhea. 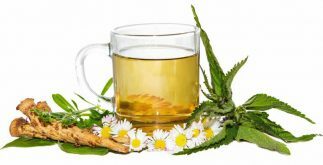 Aside from the possible minor side effects that may be experienced from using the herb, either as tea, food or extract powder supplement, more serious symptoms may happen when taken with other drugs. If a person is under medication for hypertension or is taking blood thinners, using the stinging plant may affect the clotting ability of the blood and potentially lower your BP, respectively enhancing and reducing the potency of the medicines. The herbal medicine may also intensify the effects of diuretics, non-steroidal anti-inflammatory medicines, and drugs for blood disorders. It may also make it more difficult for the body to eliminate lithium because of its diuretic effects. Finally, nettle can alter a woman’s menstrual cycle, possibly resulting in miscarriage. It is therefore not recommended for use by pregnant women. More scientific studies and clinical trials are needed to better understand the benefits and uses of Stinging Nettle Root for alternative herbal health remedies, though the ones that exist are quite promising specifically for the prostate. That said, tons of anecdotal evidence, including my own, reveals that this herb has noticeable benefits in treating the symptoms of enlarged prostate and BPH. What I most benefit from is not having to urinate as much during the night. The herbal formula I take daily includes pygeum bark extract which also has very nice benefits for treating benign prostatic hyperplasia (BPH) and urinary problems while at the same time offering some sexual wellness aids like significantly increasing the volume of sperm. Therefore, it’s safe to say that nettle root is recommended for prostate health. Please leave any questions, suggestions or tips in the comments below. We’d love to hear from you! Looking for alternatives to green tea in making jun (relative of kombucha). I understand it can be done with hibiscus tea. What about gynostemma, or some others possibilities? It would probably need to be a substance that has acids. If you have any ideas could you let me know? Have you tried Ashitaba? Really cool plant with some awesome benefits you can get it as a tea that is similar to matcha from kenko.green. Otherwise I would try an oolong or Jiaogulan tea. You are venturing out into new teritory but I really want to know how it goes jun is amazing! Does the root also help in kidney?? Robert, nettle root has been used for thousands of years as an herb and medicinally to treat various ailments, including those affecting the kidneys. is it safe for a.dialysis patient to take this nettle root?